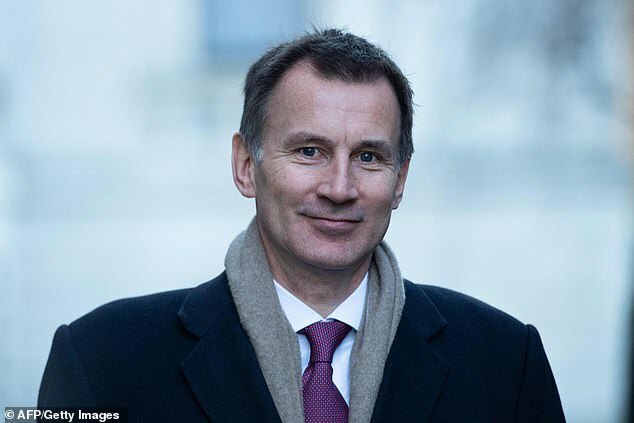 Jeremy Hunt warned MPs that killing off Theresa May’s Brexit deal could well mean no Brexit today as ministers brace to be ‘smashed’ in a Commons showdown next week. The Foreign Secretary insisted the developments in Parliament over the past few days had shown it wants to block the UK from crashing out without an agreement. Accusing Speaker John Bercow of a campaign to ‘frustrate’ the government, Mr Hunt said there was now a ‘possibility in sight’ of the country not leaving the EU at all. But he warned that failing to deliver Brexit in the wake of the 2016 referendum would be a ‘fundamental breach of trust’ with the public. The PM has been making increasingly desperate efforts to turn the tide of opinion on her plan – including reaching out to Labour MPs and union leaders. However, senior figures concede that defeat is looking inevitable, with estimates suggesting it could be the biggest ever. Mr Hunt conceded the Parliamentary arithmetic was ‘challenging’, and said Speaker John Bercow was clearly trying to ‘frustrate the government at every opportunity’. ‘What is important is for MPs on all sides, Brexiters and Remainers, whatever our disagreements, to say ‘We are democrats and the most important thing now is to make sure that we really do deliver Brexit’,’ he told BBC Radio 4’s Today programme. Mr Hunt said Mr Bercow had shown that he was ‘willing to frustrate the Government at every opportunity’, and it was not possible for the minority Tory administration to control what happened in Parliament. ‘I think it’s now looking much less likely that Parliament would allow a no-deal outcome anyway,’ he said. ‘We have seen from this week that Parliament has the ability to assert itself and to shape outcomes. ‘I think Parliament is very committed to try to stop no-deal, but I think we have to recognise that there is a deal on the table, it does broadly deliver the Brexit people voted for, and if we don’t find a way to get this through, we are taking some very big risks. How could MPs try to block a no-deal Brexit? To prepare for Brexit, several major laws must be passed between now and March 29 and any or all could be amended by MPs in a bid to stop no deal. 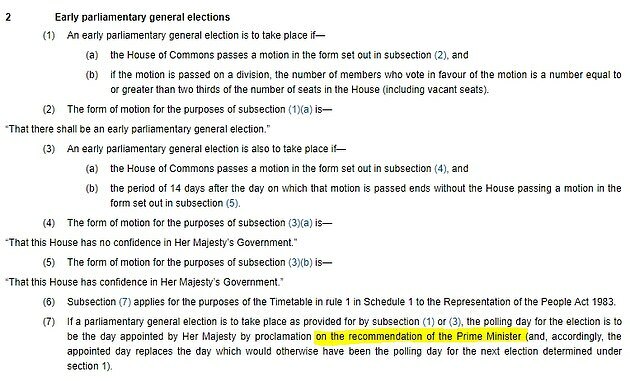 If ministers ignored motions for a second referendum or an extension of Article 50 they could, with the likely connivance of Speaker Bercow, be held in contempt of Parliament. Repeated contempt motions would be difficult, if not impossible, for ministers to ignore. If the Government repeatedly ignored parliamentary votes and a no deal Brexit appeared close, Labour could table a no-confidence motion, potentially triggering an election. The comments highlight deepening splits within the Cabinet about what to do when Mrs May’s plan is rejected. One senior minister told MailOnline this week that the PM should just ignore Parliament’s efforts to block no deal – as only the government can change the law to prevent the UK leaving in March. More than a dozen Tory MPs have made clear that in the end they would be ready to support a no-confidence vote and force an election in order to avoid crashing out of the EU. 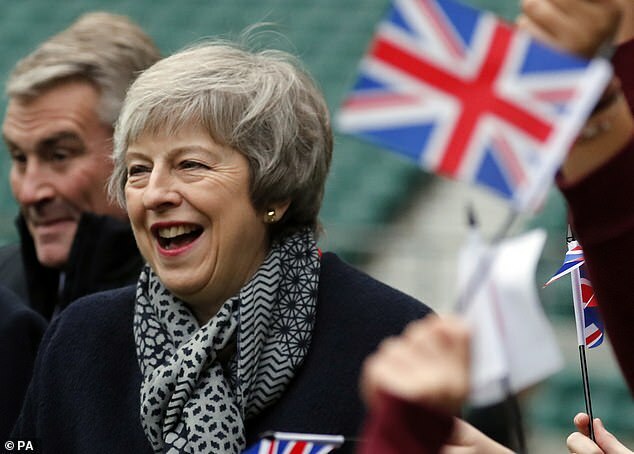 However, the Cabinet minister suggested Mrs May could merely use her power to set the date of the election for April 4 – meaning Parliament would be dissolved for the campaign when the UK leaves the bloc on March 29. At least one other member of Mrs May’s top team is believed to back the plan, which would trigger a titanic constitutional crisis. Work and Pensions Secretary Amber Rudd today became the latest Cabinet minister to hint that she will quit if Mrs May tries to take the UK out of the EU without any agreement. Justice Secretary David Gauke and Business Secretary Greg Clark are also among those thought to be prepared to quit if the government tried to force no-deal. Debate on the Brexit plan is resuming in the House of Commons later, with security the theme. Although Mrs May was offered a glimmer of hope yesterday as a couple of wavering MPs backed her deal, the government is still thought to be facing a record defeat on Tuesday. The previous biggest margin was 166 for the minority Labour administration in 1924 – but there are estimates that the PM could lose by more than 200. ‘We’re going to get smashed,’ one government source told the BBC. Ms Rudd said she was ‘committed’ to ensuring that the UK does not leave the EU without a withdrawal deal. During a BBC interview this morning, Ms Rudd three times declined to say whether she would remain a member of the Government if it opted for a no-deal Brexit. Ms Rudd said it was ‘right’ for the Government to make preparations for a no-deal Brexit, comparing it to wearing seatbelt when driving a fast car. At a speech on benefits changes later, Ms Rudd tried to play down resignation talk -although again she stopped short of ruling it out. ‘I am committed to making sure that we get the Withdrawal Agreement through next week,’ she said. Downing Street said the Prime Minister had ‘constructive’ phone conversations about her Brexit deal with trade union big beast Len McCluskey of Unite, a Brexit supporter and close confidant of Labour leader Jeremy Corbyn, as well as Tim Roache of the GMB. Number 10 also confirmed ministers would ‘consider very seriously’ moves by Labour MPs to safeguard workers’ rights after Brexit in an attempt to win support for her deal, if the backbench amendment was selected by the Speaker. The amendment would keep EU rules on pay and conditions, health and safety issues, and environmental standards. However senior opposition figures rowed back against the overtures, saying it was too little, too late. Mr Corbyn said Labour did not ‘endorse or accept’ the initiative, backing union leaders including the TUC’s Frances O’Grady, who said the amendment ‘makes no change to a bad deal for working people’s jobs and rights’. And one of the union leaders who spoke with Mrs May said afterwards he remained in favour of extending Article 50 to allow a second referendum. Mr Roache added: ‘After nearly three years I’m glad the Prime Minister finally picked up the phone. ‘As you would expect, I was very clear about GMB’s position, the deal on the table isn’t good enough and non-binding assurances on workers’ rights won’t cut it. Shadow foreign secretary Emily Thornberry later on Thursday hit out at Tory figures putting out feelers on workers’ rights in a bid to get a Brexit consensus. Appearing on the BBC’s Question Time, she accused the Government of treating the issue as an ‘afterthought’ by attempting to discuss it at such a late stage. She said: ‘It would be fundamental to what we were doing and we would have it as part of the law that our rights would be in pace with Europe.